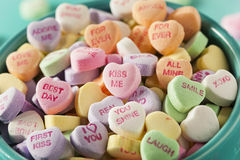 My hope for you is that you are Your Own Best Valentine! But for most of us, that is so much easier said and dreamed about than done. As children, we all seek the love and approval of our parents. Unfortunately, all too often the love and approval we receive comes with strings attached. We are admonished not to be too loud and rambunctious, punished for not getting better grades, and compared to our siblings. Parents are often ill-trained in child-rearing and make the error of telling us “you’re a bad boy,” criticizing who we are rather than the action itself. “Who do you think you are?” and “You’re getting too big for your britches.” are two of the most common criticisms I hear in my head, in the voice of my mother, of course. As I continue to grow my spiritual coaching/healing business and really make a larger impact in the world, I hear them way too often. Many of the things we say to ourselves we would never dare say to another person! And yet we dialog with ourselves day and night in these harmful ways. Have you ever heard yourself put these same conditions on yourself? So how do we break the spell of these self-deprecating and self-defeating thoughts? Self-acceptance is something we do, not just something we feel. To say “I value myself” is an act of self-affirmation that provides a base from which self-esteem develops. When we practice self-acceptance we don’t have to condone or even like everything about ourselves. In fact, it’s almost certain that we won’t. What it does mean is that we recognize and accept our thoughts, our actions, our emotions, our bodies, our dreams — everything about us — as our own. But, here’s the paradox: without acceptance of what is, it is impossible to change. Who among us doesn’t believe that with a little tweaking, we could be just right—self-realized, self-actualized and self-helped to just short of perfection? But, the problem for many is that all the books, self-improvement tips and positive affirmations don’t seem to make us any happier. Worst of all, the minute we “fix” one ugly piece of ourselves, another nasty monster rears it head and starts screaming for attention. When does self-help become self-hell? What would happen if we simply started by realizing how wonderful we already are? I remember back in the 80’s when I first started my personal-growth quest, I wrote pages and pages of affirmations. Did they help? Not really…they were mostly a mind and hand numbing exercise with no real substance. But since then, I have come across two other practices that have had a profound effect on how I “see” myself. One is spending time looking deeply into my own eyes in the mirror and telling myself how much I am loved and appreciated by ME! Of course, tears come up, objections come up, but I stay the course and continue to share my own love with myself. When you first try this radical experiment, you may only be able to tolerate a minute of mirror-self-love-gazing, but each time you try it, endeavor to lengthen the time and the frequency with which you share love with yourself. My other favorite is to open my own Akashic Records and have a love chat with my own Soul. If you are interested in knowing more about how to open and access your own Akashic Records, leave a comment below. I will send you the link to download my new e-book titled: How to Access the Akashic Records. And, Have a Wonderful Self-Love Day!